Intellectual property protection is an essential component of modern businesses. Once a client creates intellectual property, it must be protected quickly to prevent competitors from benefiting from the client’s work. Orgain Bell and Tucker can assist clients by securing these intellectual property rights and enforcing them with litigation. Our attorneys can also assist clients in monetizing their intellectual property by licensing it. Intellectual property falls into one of four categories. Each of these have different rules and different scopes of protection. Patents allow the owner of an invention to keep others from copying the invention. Our attorneys can assist owners in applying for patent protection. Inventors may make a disclosure of the invention that will be written into an application and sent to the United States Patent and Trademark Office (USPTO). 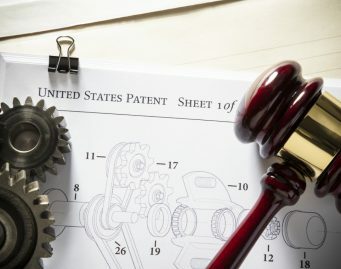 Patent prosecution is a highly specialized section of the law that requires a licensed patent attorney to navigate the complexities of the patent prosecution process. The process of securing a patent frequently requires extended negotiations with the USPTO before a patent is issued. These negotiations involve reviews of technical documents and other documents to argue for the allowance of the patent application. Orgain Bell and Tucker possess the resources and skills to navigate the intricacies of the patent system. Trade secrets include most any type of information a business keeps secret to gain an advantage over competitors. Trade secret protection requires certain procedures and safeguards to be followed. Otherwise the trade secret may become known to a competitor, destroying the trade secret owners advantage. Copyrights involve the rights the owner has in an original work of art or authorship to determine how the work may be copied or used by others. This means that the owner not only controls how a work is copied, but also gives the owner rights to control another work derived from the owner’s work. Trademarks are words, logos, or symbols used by a client to distinguish their goods from those of a competitor. Trademark protections are used to prevent consumers from being confused as to who they are buying from.